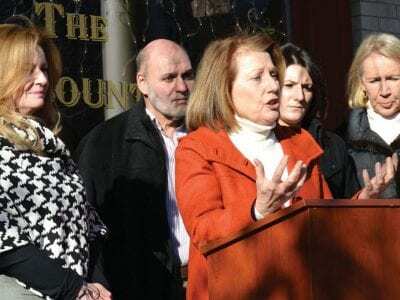 Barbara Scuccimarra discusses the economic development awards, alongside MaryEllen Odell and Libby Pataki, on Monday in Cold Spring. Seven projects in Putnam County to create new jobs while sustaining a vibrant economy have been included in Gov. Andr… Please login below or purchase a subscription to the Putnam County Courier to access this content. Anglers express their displeasure with the plan at last week’s meeting in Carmel. Anglers are upset over a plan to relocate their boats along Lake Gleneida in Carmel. 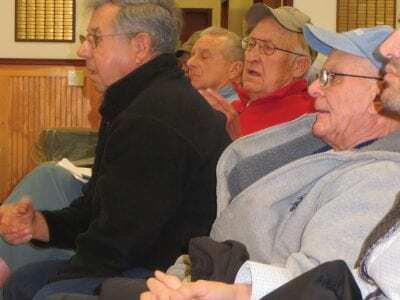 Dozens of fishermen packed the Carmel firehouse last week for the first in a … Please login below or purchase a subscription to the Putnam County Courier to access this content. Carmel High School students carry trees to waiting vehicles after they were purchased last weekend. 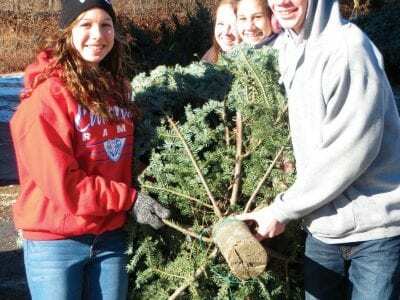 Lakeview Community Church’s philanthropy continues around the holidays with the sales of Christmas trees. Last weekend, the church, which curren… Please login below or purchase a subscription to the Putnam County Courier to access this content. 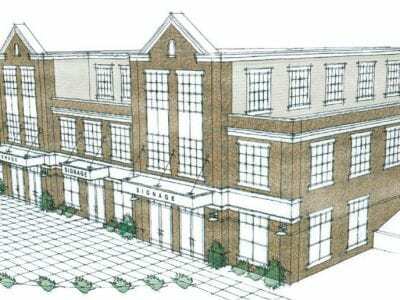 A rendering of the Butterfield proposal. Monday night, members of the Putnam Legislature refused to commit to any county facility being located on the site of the former Butterfield Hospital in Cold Spring. They left open the prospect of making a com… Please login below or purchase a subscription to the Putnam County Courier to access this content. Caryn Cannova sits atop her brand new stepstool, courtesy of generous customers. This is the story of a crosscounty Christmas miracle that proves a little kindness can go a long way. 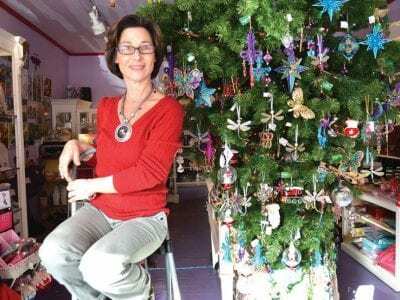 Last Wednesday morning, a package from a Mahopac couple arrived for… Please login below or purchase a subscription to the Putnam County Courier to access this content. To the Editor: Although the defeat of the Supporting America’s Charities Act in Congress (H.R. 5806) last week is disappointing, Hudson Valley residents should be encouraged that local representatives Sean Patrick Maloney (D) and Chris Gibson (R) r… Please login below or purchase a subscription to the Putnam County Courier to access this content. 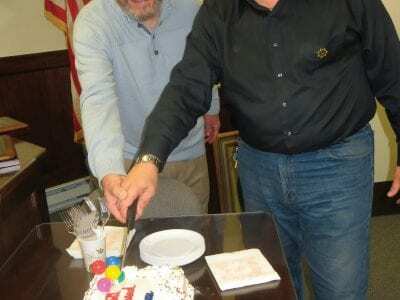 Oliverio and Tartaro cut a cake baked in their honor. One hundred well wishers stopped off at the Putnam Legislature office last Friday morning to wish retiring Legislators Sam Oliverio and Lou Tartaro Godspeed and good luck in their future endeavors… Please login below or purchase a subscription to the Putnam County Courier to access this content. Four hundred eight foreclosure actions have taken place in Putnam County for the first eleven months of the year. While the numbers are high, they fall below last year’s 488 foreclosures reported for the same January-November period. Deputy Co… Please login below or purchase a subscription to the Putnam County Courier to access this content.